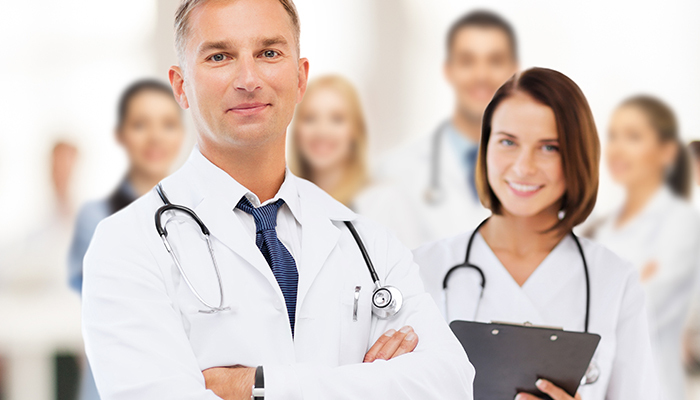 Here at Comprehensive Healthcare Revenue Management we have brought together a team of physicians, nurses, managers, project managers, certified medical coders, medical billing specialists and accountants that have extensive experience working in healthcare billing and management. We know you have thousands of revenue cycle company options to choose from, so we worked diligently with our first clients to build a medical billing company that makes choosing us easy. Transparency – For many years internal billers and medical billing companies have been able to shield your data and keep you in the dark about what is happening with your claims. By locking down your access and presenting you with complex monthly reports, you may not completely understand where your business stands. Our policy is that you have the same access as us, we teach you how to check claims and how to do the things you need to do to make sure your claims are being worked and worked appropriately. We work with you over the first 90 days to make sure the reporting package you receive each month is specialized to your needs and you completely understand all of the data. Additionally, you own your own data! We never hold you hostage with your data. We have received many clients who were afraid to leave a bad billing situation because the billing company only used their proprietary software and when they leave they have to virtually start over. We have a preferred vendor in regards to software and can get you a discount, however ultimately the decision is yours and we will use the software that you choose. Regardless of the platform that we use, it is still YOUR data. Honesty – From the first communication throughout your time as a client with CHRM, we make it a priority to always be honest with you. We will audit your data and give you a realistic look at what is happening with your claims and what your expectations should be for recoupment of money billed. CHRM has even had occasions to audit a practice where we found the internal billers were actually performing quite well and outsourcing their billing would not have been beneficial to the practice. We will never tell you we can do something we cannot! A popular recruitment technique of medical billing companies is to do an audit where they show you how poorly your billing currently is. Often times it is out of context and not thoroughly researched. We will perform an audit, we will give you the good, the bad and the ugly, but we will not lie to you. If your billing is doing a good job, we will tell you that too. CHRM does outsource some of their staffing, currently at a rate of 30%. The other 70% of our staff are right here in our production facility in Texas. We love visitors and we encourage our clients to visit our headquarters in person. Some billing companies are not transparent about this, and feel it is a risk for clients to know that they outsource. Here at CHRM we have tested and closely monitor all BPO work done remotely and limit what work is done (no patient contact) so that we may optimize our service and reduce our overhead. CHRM is a business, this is where we increase our margin and are able to pass on savings and better value service to our clients. Here at CHRM we have an exceptionally low error rate, but mistakes do happen. Medical billing is a business where people are involved in the transactions and quite simply, people make mistakes. Sometimes our clients make the mistakes, sometimes it is one of our staff. Our managers are trained and expected to immediately contact the client and make them aware, no matter how small. We learn and train the involved parties to correct the issue and to make sure the same mistake does not happen again. Integrity – When doing your billing we at CHRM are very careful to make sure we are following all CMS and Insurance Department guidelines for your state. We look closely at payer rules and stay abreast of all of the many changes in healthcare billing. We never cut corners or do anything that may put you or us at risk. Excellence – We promise you that if you give us a chance you will not want to leave. We are so sure of that promise that we write our contracts to include a very easy 30-90 day out depending on the size of your practice or facility. We diligently work your claims every day to get paid the most dollars possible and are known to go above and beyond for our clients. Check out our testimonials, we are very proud of these! WE PROMISE YOU that CHRM will be your partner in business and you will be proud to have CHRM as your billing company.